We are a small agricultural engineering company in rural North Devon. 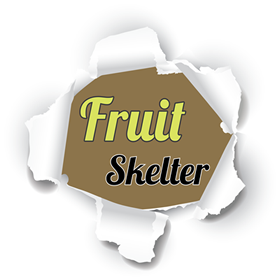 My husband made me an “Egg Skelter” to solve the “what to get the wife for Christmas” issue! I now have all my eggs in the order of lay and always use the oldest first. When starting out in 2008 we hand-made 100 of them to sell (to “share the joy”) and we sold out in three days!! Since then we have made and sold many thousands of Egg Skelters all over the world. Egg Skelter 24’s are now available in 11 fabulous colours and will hold eggs from your hens and duck or bantams. 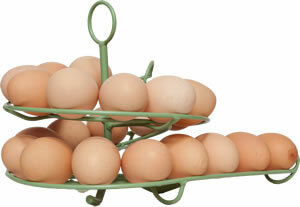 Egg Skelter 12’s are available in black or farmhouse cream and can easily store 12 eggs.